Know you need to check outstanding accounts receivable and compare to the standard? 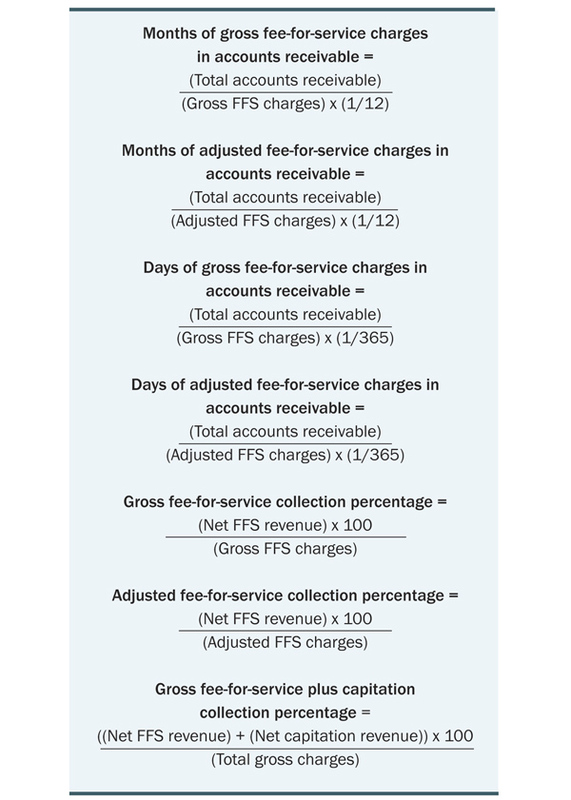 Know the basic billing benchmarks? Hopefully your organization answers "yes" to both! If not, here are some practical tips and best practices for your billing company when it comes to benchmarks. The famous adage "if you can't measure it, you can't manage it" holds true in so many facets of our lives. Would you buy a used car if you did not check out Kelley Blue Book to see what it was worth first? Would you buy a big-screen TV if you did not review the competitors for the best price? In a similar vein, what do you compare your total accounts receivable and days in accounts receivable to? In various industries, we compare one piece of data to another. In business processes and performance metrics, we call that benchmarking. What are the basic billing benchmarks you should review? Let's start with the percentage of accounts receivable (A/R) in each aging category. When reviewing this particular benchmark, your company wants the majority to be in the 0-30 days in A/R category. After that, the percentage should be lower as the receivable ages. When benchmarking days in A/R, you want to compare yourself to the mean (or average). 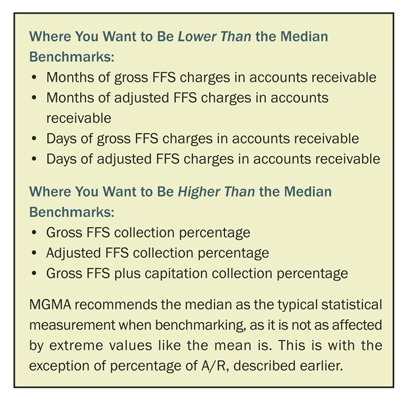 Based on this example, your billing office would want to look at ways to improve their 0-30 days in A/R benchmark since it is lower than the MGMA benchmark. Other opportunities for improvement exist in the 120-plus days category. Often, these receivables are never collected. As such, efforts and improvements must be made to collect earlier in the process. Once you begin measuring these items, what is considered to be best practice? When reviewing months or days in A/R, it is always better to be lower than the median. This addresses that you not only collect payments from payors in a timely manner but that your staff and processes in place work. There is always room for improvement, so review your processes and ensure they are running as efficiently as possible. Equally, a best practice for the gross and adjusted percentage benchmarks is if you are higher than the median. This provides you a benchmark as to how effective your company collects revenue based on what was initially billed. Billing companies need to be able to measure the billing benchmarks to provide improvement to the company, directly affecting client experience. Many internal and external factors play a part, so e ven if you do not benchmark all of the metrics listed above, it is important to start with one or two. Don't think of benchmarks as "the place you need to be." Instead, view them to gain insight into where you want to go with your organization. Being the "average" or the "median" does not mean success. Without industry comparisons, you cannot measure your performance. Start with keeping it simple and build throughout time. Make sure you are checking the basic billing benchmarks by setting up a dashboard that your team can have as a visual and review every month. Continuously monitoring, evaluating, and then modifying can prove to be the most successful move for your practice. You will begin to wonder how you ever lived without it. Kristina B. Ziehler, MPH, is assistant director, data solutions, for the Medical Group Management Association (MGMA). During her tenure at MGMA, she has written articles for the various MGMA publications and has been a presenter at MGMA and other external conferences. Ziehler also leads and develops reports that provide nationally recognized benchmarks for medical group practices. Currently, she co-leads the new MGMA Research & Analysis initiative. Learn more about MGMA's additional benchmarks at Learn more about MGMA's additional benchmarks at www.mgma.com/store/medical-practice-cost-surveys. 1 D. Gans, "Benchmarking Successful Medical Groups to Improve Your Practice Performance." Presentation at MGMA Conference, Ohio, September 2006.